Twice in 3 days…Food is great and so is the staff! More Than Just a Pretty Chicken! 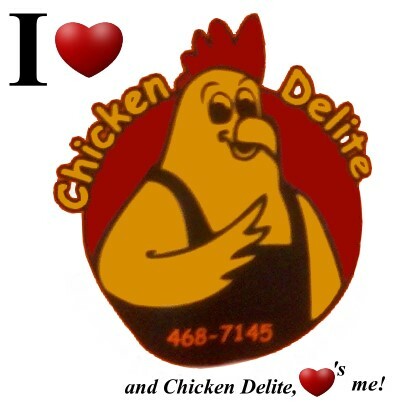 Sure, you know that Chicken Delite is the home of the best chicken in the South, but did you know that we’re hiding some gems in here that you may not be quite as familiar with. Like a full line of catering for your parties and events, a room rental equipped with a big screen tv that seats about 75 and is free to use when you get your meals catered? Did you know that we have weekly specials like seafood chowder and BBQ ribs? Didn’t know all that, huh? Well, it sounds like you better come on by and see what else you might be missing…. Be sure to ask about our Take Home Chicken Pot Pie! Fresh, frozen and homemade chicken pot pie – ready to go right in your oven. We won’t even tell anyone where you got it! One 9 inch pie is just $12. Come on by and get one today! Custom Order Baked Goods! Need a homemade cake for your next event? We offer custom order baked goods. Just give us a call or stop by and let us know what you need. We’ll take care of you. Ocilla's Chicken Delite is a South Georgia Tradition!